Lots of fine detail in this Cold War submarine-warfare simulator game. 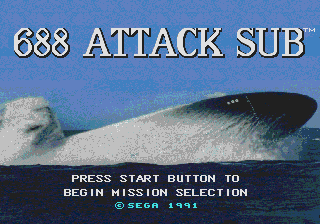 You get to pilot either a U.S. or a Soviet nuclear attack sub, with many features and options to choose from. SUB Codes 11 thru 20 let you load up on torpedoes for various missions. Ditto Codes 21 thru 29, but with missiles. 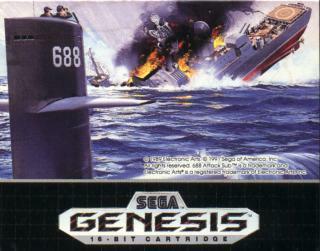 Some technical tips: Remember that Alfa-class submarines carry no missiles. For Codes 1 thru 36, the normal quantities and types of armaments vary depending on mission and submarine chosen. Codes 37 thru 43 apply to all missions. 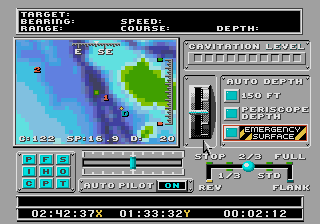 With Codes 30 thru 36, missile quantities apply to all missions except Hit and Run, where the number of missiles is fixed at 4. Usually, the Towed Array is lost for the duration of the mission once it has been cut. Codes 42 and 43 change that. submarine in various Cold War missions around the world. much ballyhooed in its day, but shows its age now. 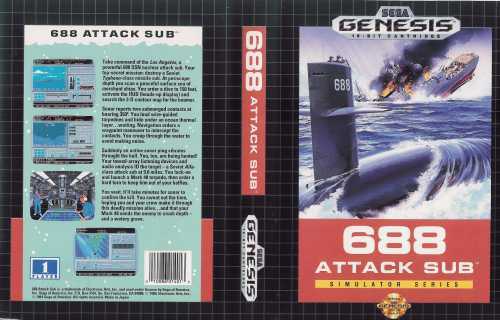 A quite good Submarine simulator. I think it is a little slow but the grafics are ok. An average game. Only for the real simulation player. Here's a fun thing to do, turn engines full blast, turning full left, and the depth all the way down! This Russian is NOT Russian!